You may now enjoying Google Plus .Then it will arise a question that How can I invite or inform my friends to Google+ or about Google+.This tutorial will show you or help you “how to invite your friends to Google plus”.It is very simple if you follow the below steps. 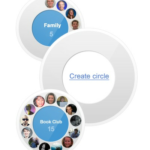 Now in the appeared page look on the bottom left side ,there you can see a circle with white color named “Drop here to create a new circle”.When you mouse hover it will show Create Circle.Click on it. Clicking on it will create a new pop up as shown below. Now click on the Add a new Person and add the persons you want to invite. Once you are created the circle click on the Share Button,which is present on the Rightmost top corner. Done!.The invite will send the persons who are all in the circle as email. 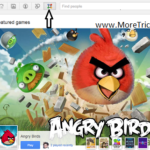 More Tricks on Google+ Social network is coming soon.Keep tuned with us…. 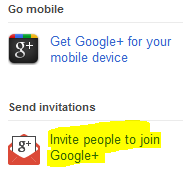 Yeah,Google introduced new easy way to invite your friends to Google+,You can utilize the right side bar option to invite your friends by using their email id.Just see the screen shot below. 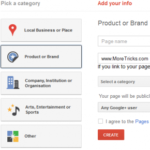 what is the website of google plus?? how to access it?? ?without any websitw or any icon to open it…can you give me the reply please..
please teel the website or any icon or software neede to this..
And also tell is gmail is now advanced to google plus or its a totally new thing and different from gmail..